A different take on the ordinary shrimp cocktail. Here you have a yummy recipe for mayonnaise too! 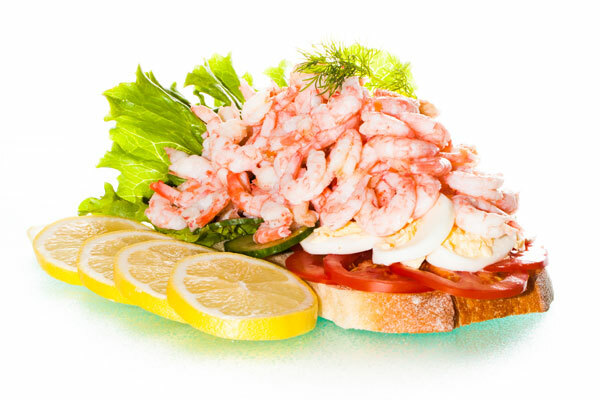 This big shrimp toast is a Swedish classic, especially on the west coast where they catch fresh shrimp. 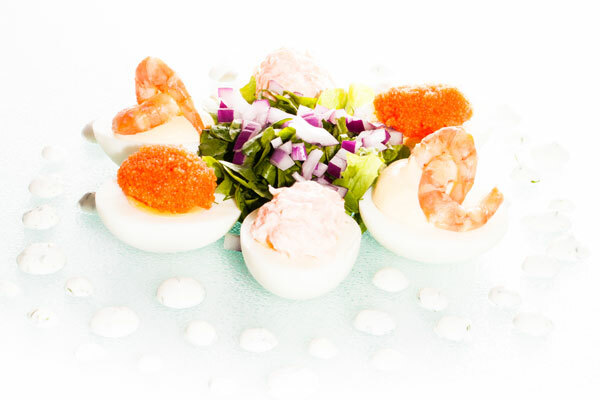 If you think the sandwich is too big, you can make shrimp canapés of them too! Use the same components but make them in a smaller version. 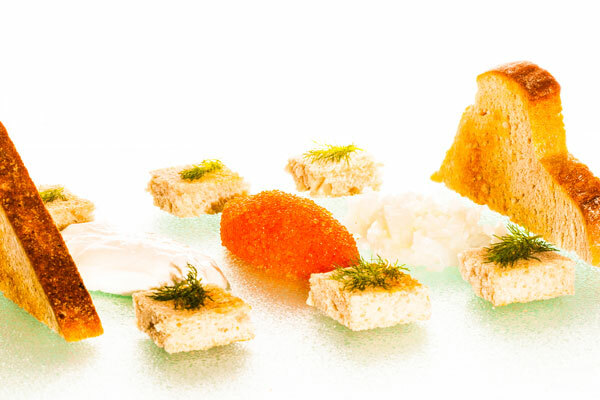 Bleak roe is a Swedish delicacy and is traditionally served with toast, crème fraiche or sour cream and chopped onions. Many restaurants also serve it with mini pancakes or on egg halves. 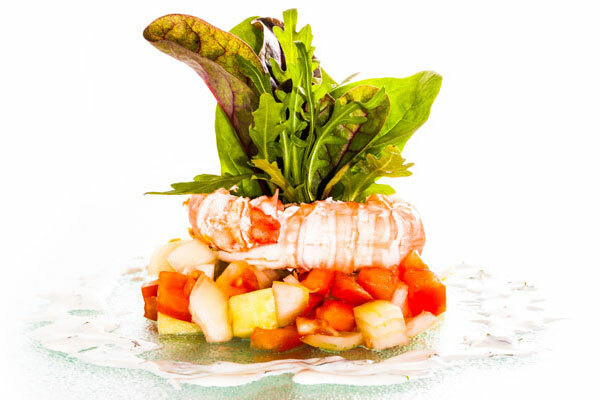 Crayfish are served on the Swedish kräftskiva. 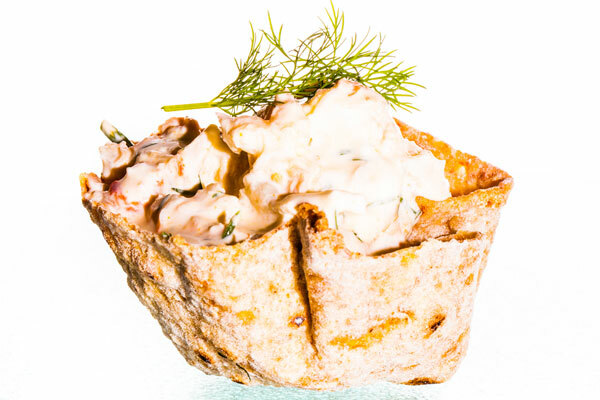 This recipe is for a crayfish salad in a bread bowl, but you also have the recipe for Swedish crayfish so that you can choose. This fresh dish is so delicious! You have the salsa style salad and lots of baby leaves on top. 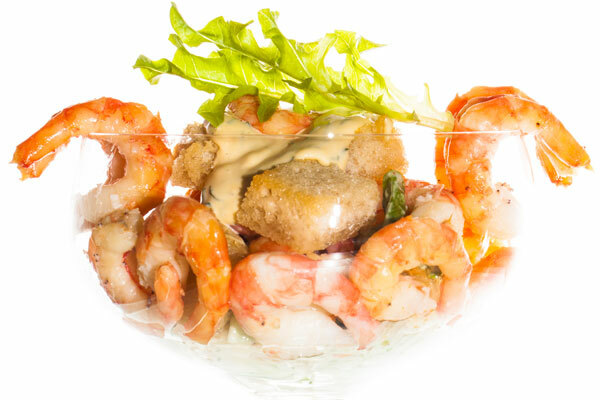 The recipe for scampi is the traditional one from Sweden that uses dill and caraway seeds. If you have dill seeds, you can add 10g of them too for a more intense dill flavour.